This entry was contributed by Margaret Henderson on February 4, 2015 at 11:10 am and is filed under Organizational and Personal Leadership, Tools and Practices. Stephen Covey trained the modern world to manage time by using the metaphor of filling a jar with rocks of varied sizes. The bigger rocks symbolized more time-consuming tasks. 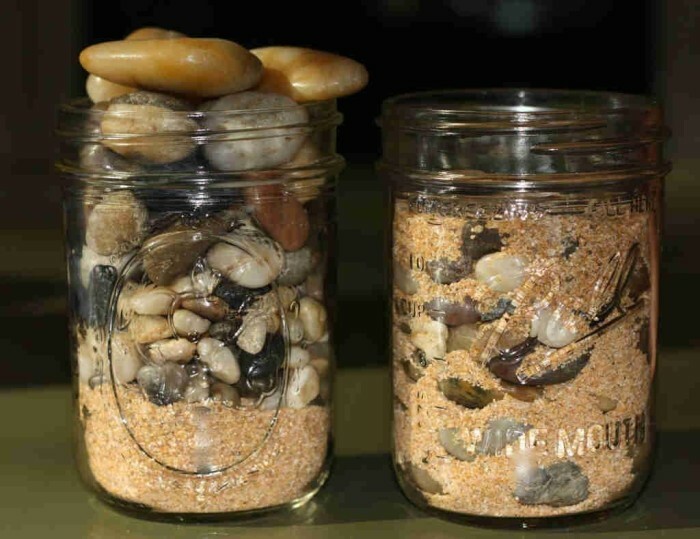 He demonstrated that by putting the biggest rocks in the jar first, followed by the smaller rocks, he was able to eventually put a greater number of rocks in the jar. In other words, he used his time strategically to achieve a greater number of tasks. For a YouTube video of Stephen Covey demonstrating this time-management strategy, click here. A similar concept can be used to identify the decisions that are likely to require additional or different attention from elected officials. The “big rock” decisions might warrant more specialized expertise, expanded community input, extensive financial resources, or multi-disciplinary planning, for example. What makes an issue a “big rock” for a governing board? Chances are that experienced decision-makers will be able to think of examples in every category. They will also be able to enumerate the benefits of going into the decision-making process knowing that it warrants more time or attention somehow, rather than figuring that out after the next election. Some governing board members will also have stories to tell of underestimating a seemingly “simple” decision that ultimately polarized their communities or generated a law suit from a dissatisfied resident. It impacts a large number of people. It is a “fork-in-the-road” decision. It impacts a small number of people, but in a big way. It involves functions that support the community. It is something we can influence. It is highly visible or symbolic. This list provides guidance for governing boards that want to both act strategically and minimize or, hopefully, avoid surprises or negative community reactions. If the decision involves a “big rock,” slow down the process for receiving and considering information. Expand the strategies for practicing transparency. Create special opportunities informing the public and receiving input in return. Collect and consider the hard data, while still respecting the personal stories that will be attached to the decision. Proactively identifying and respecting the demands of big rock decisions can offer strategic benefits, even if it requires more time or effort in the short run. If you have encountered other types of big rocks or successfully employed new strategies for dealing with them, please share your experiences in the comments.